My mother would have been 65 this year. As the years move on past the day she departed, I long to hear her voices and I wish so hard that I had taken the time to talk to her more about her childhood. 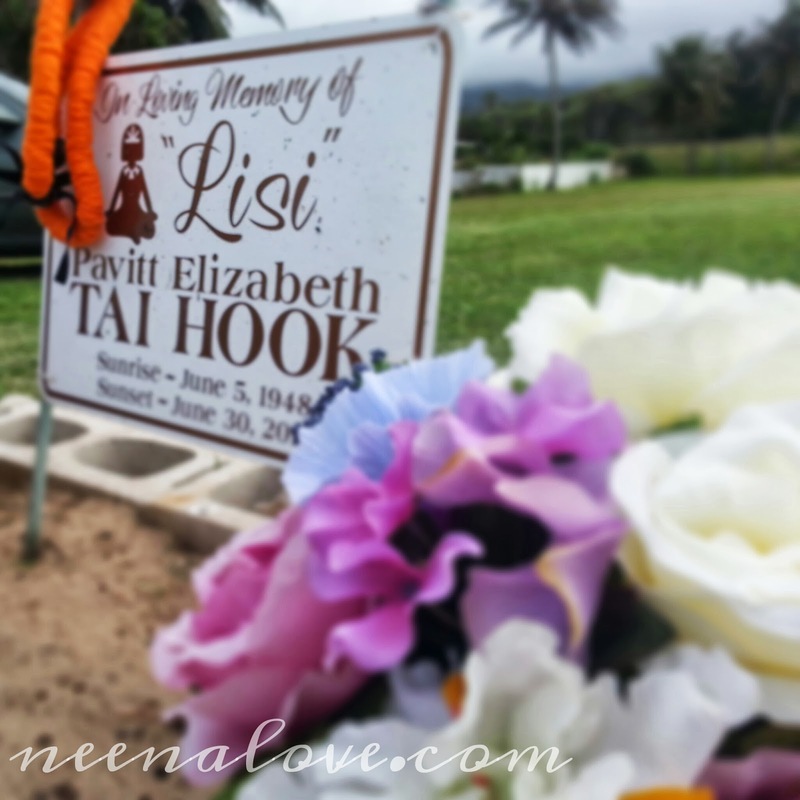 I wish I made it a point for us to travel to Samoa together when she was healthy. I know she would not want me to live with regrets so I don't. When I see her again we will speak as if we had never known any time or distance. I went to her grave site to place some artificial flowers there. My father had already placed fresh flowers from Mother's Day and Memorial Day and we have artificial purple hydrangeas there. Purple was her favorite color. In the last years of her life, my mother made me promise that her funeral would have lots of flowers. I carried that request over. My only wish is that I had bought her flowers while she was alive. The morning of the day she passed away, my mother woke up just before I left for work. Usually, when I would leave for work, I would look in on her to let her know my schedule for the day. She was usually still asleep and would not rise until after 9am. That morning, she was rushing to get outside and into the yard while I was getting ready for work. I was running late that morning and my ride was waiting on me in the driveway. As I was getting into her van, my mother came running to me from the side of the house. Running, as in wobbling. My mother had broken her leg several years ago and the screws in her knee made it difficult for her to get around. In her hands were stalks of white 'awapuhi ginger that she had cut from her flower patch. The smell of the 'awapuhi will always remind me of her. She says, "Babe, here," as she attempts to hand me the stalks of ginger. "Get a vase from the wash room and put this in your office." In my rush to get to work and my impatience with the disruption of doing that, I tell her that I'm running late and I have to get to work. "Tomorrow," I say. "I'll take it tomorrow." I will never forget that interaction. As I write this, I tear up thinking about moments like these. My mother grew up in Samoa. She did not have indoor plumbing until she was well into her teen years and ready to leave home. They preferred cooking in the umu (google "umu samoa") or over an open fire. I think it is that upbringing that made her hold on to 'stuff' even if we had no immediate use for the 'stuff'. I always scolded her about hoarding things (sorry Mom for being so cheeky). 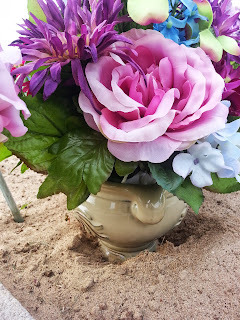 Take these urns, for instance, in the pictures; these urns sat around the house for years. 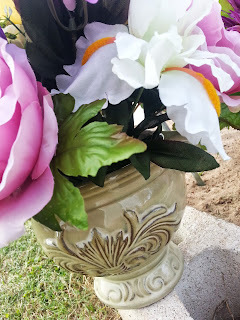 She had purchased them a long time ago to make floral arrangements for my great-grandmother's grave and my grand-aunt and my great-grandfather's and another aunt's grave. I hassled her constantly about getting rid of them because they were taking up space under the bathroom counter. She fussed at me for being so wasteful. I fussed back! She never did get around to using them and I'm glad because now they adorn her grave.